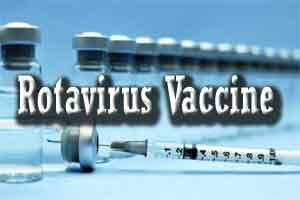 Odisha will be among the four states where the rotavirus vaccine will be introduced on March 26 under the central government’s routine immunisation programme for protecting children from diarrhoea, an official said. The vaccination programme will also be launched in Andhra Pradesh, Haryana and Himachal Pradesh by union Health Minister J.P. Nadda at a special programme here, said Odisha’s director, family welfare, Nirmala Dei. She said it is expected to save more than lakh lives per year from diarrhoea. The government, along with Unicef, Bill & Melinda Gates Foundation and other stakeholders are launching the rotavirus vaccination programme and an estimated 8.53 lakh children under the age of one year will be administered the vaccine annually, said Dr Nirmala Dei. Presently, more that 1.50 lakh children die in the country due to the disease every year, of which rotavirus accounts to 50 per cent of the deaths, said Odisha’s additional director, child health, Hemant Kumar Mishra.